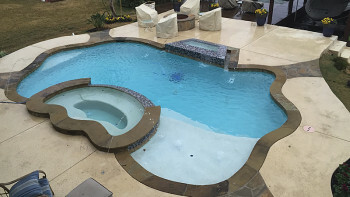 A Total Coverage: The Birthplace of What's Next Inc.
A Total Coverage is the complementing element to Ultimate Pools, which are both part of What’s Next, Inc. When you own a home you have many projects and improvements that you want accomplished. When one is done, what’s next? And that is how we got our corporate name. 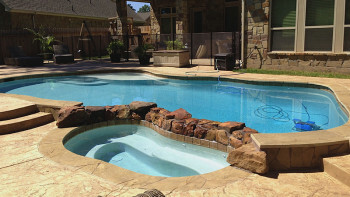 While we are always looking to provide our customers with “What’s Next” when it comes to pool construction, maintenance, and technology, A Total Coverage was what was first and helped grow our company into what it is today. 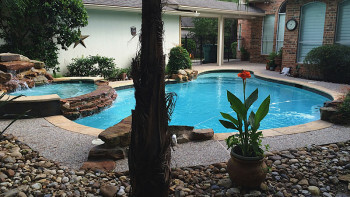 It began as a small family venture founded by Bryan Stuart and Deborah Stuart in The Woodlands in 1991 and started with lawn sprinkler systems. 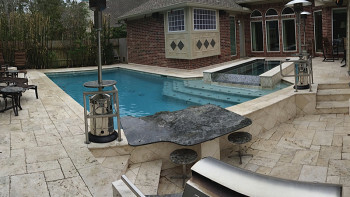 The company expanded into landscaping and drainage, followed by landscape lighting, outdoor kitchens, mosquito systems and fencing for customers in Montgomery County and North Harris County. While we are always striving to be next, What’s Next will never forget what got us started. ATC is the turnkey aspect of What’s Next, Inc. as Bryan Stuart is a Texas Licensed Irrigator #4542. A Total Coverage continues to provide outdoor improvement services to its customers, so give us a call, e-mail us or stop by our Magnolia office!